Whilst the nation enjoys the traditional mid-afternoon Queen’s address after tucking in to Christmas dinner this year, little ones across the country can tune in to enjoy an alternative message created by baby and toddler food experts Ella’s Kitchen. 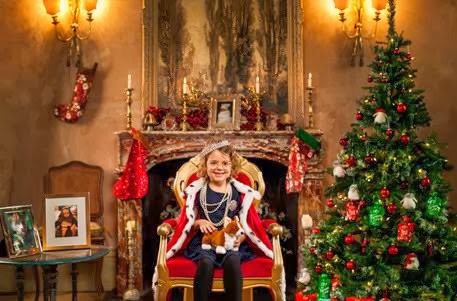 The very first mini Queen's Christmas speech has been created specifically for tiny tots to enjoy and is set to be broadcast online on Christmas Day. From the birth of royal baby Prince George to the nation’s favourite subject, the great British weather, the unique speech provides a kids’ perspective on the year’s news stories. 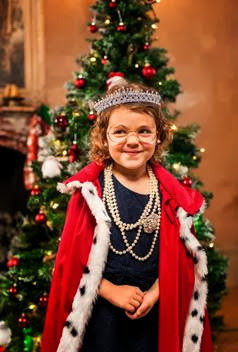 Delivered by mini monarch Grace Dawkins, the Christmas broadcast also contains a selection of special messages and highlights from the Ella’s Kitchen Facebook and Twitter community, celebrating the achievements and tiny triumphs made by little ones across the country. Paul Lindley, Ella’s Kitchen founder and Ella’s Dad comments: “Christmas is a very exciting time for little ones and we wanted to make it even more memorable by taking a much loved Christmas tradition and giving it our very own Ella’s Kitchen twist.